The story about Deputy Attorney General Rod Rosenstein offering to wear a wire and tape meetings with President Donald Trump has arisen again. Was Rosenstein joking or what? What really stands out in this piece is that the two individuals who are carrying the water on this story already have serious believability issues. One of the story carriers is former FBI attorney Lisa Page. The other one is former FBI Deputy Director Andrew McCabe. We all know that McCabe has an ax to grind. Here is what has unfolded. You be the judge. Yesterday, Fox News reported that an FBI lawyer’s recollection of events was at odds with the claim the comment had been suggested sarcastically. 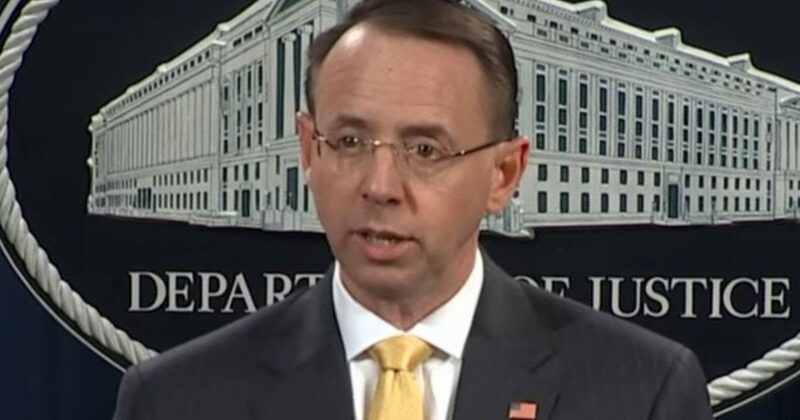 Two senior FBI officials told the bureau’s top lawyer they believed Deputy Attorney General Rod Rosenstein was “serious” when he discussed secretly recording President Trump and invoking the 25th Amendment to remove him from office last year, according to sources close to a congressional investigation – an account that conflicts with …..